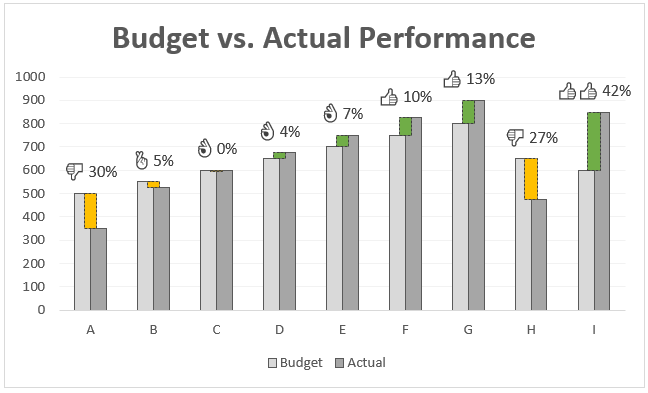 Call them by any name – Budget vs. Actual, Target vs. Actual, Goal vs. Progress, KPIs, Performance charts, but they are the bread and butter of business charting. So how about a drop dead gorgeous and insightful chart for your next meeting with the folks upstairs? Something like above. 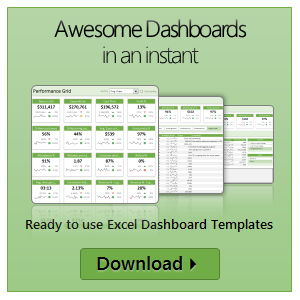 Read on to learn how to create this chart in Excel.